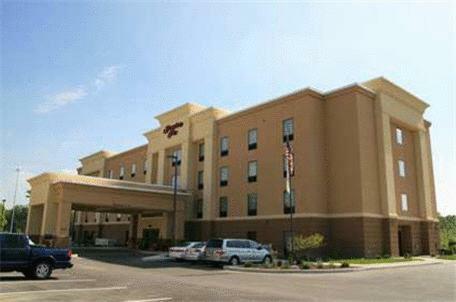 Located in Defiance, Ohio, this hotel is minutes from AuGlaize Village and Fort Defiance Park. The hotel offers a free daily hot breakfast and free high-speed internet access. The Hampton Inn Defiance offers rooms with a coffee maker, a microwave and a mini-refrigerator. A work desk is also included in every room. An indoor pool and a fitness room are on-site at the Hampton Inn Defiance. The hotel offers on-site laundry facilities and room service. Upon check-in photo identification and credit card are required. All special requests are subject to availability upon check-in. Special requests cannot be guaranteed and may incur additional charges. Guests are required to show a photo identification and credit card upon check-in. Please note that all Special Requests are subject to availability and additional charges may apply. the hotel Hampton Inn Defiance so we can give you detailed rates for the rooms in the desired period.